The cannabis industry is growing rapidly throughout the world. 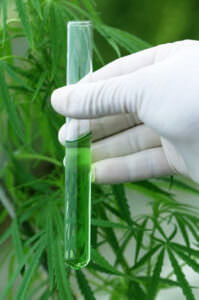 The evidence is rapidly expanding for the medical use of cannabis and cannabinoids like cannabidiol (CBD). Scientists now can actually do in-depth studies of the health benefits of cannabis without the legal problems that once plagued the industry. However, the industry is in real danger of being taken over entirely by Big Pharma – and even GMOs! Cannabis has been shown to help with a wide range of health issues, from CBD’s ability to fight tumors and help with the side effects of chemotherapy to treating anxiety and depression. Cannabis can also help with chronic pain, gastrointestinal problems and metabolic disorders. It’s also impossible to overdose on cannabis, making it a very popular alternative medicine because it isn’t associated with any significant side effects. When you think about the extensive list of side effects associated with many pharmaceuticals, you can see why cannabis is starting to become a serious threat to the monopoly of the pharmaceutical industry. Monsanto & Friends have been watching the cannabis industry closely for decades. Of course, they see the huge potential for profit so they are using their limitless financial resources, as well as lobbying the government, to gain control of this huge potential market – even getting CBD scheduled as a drug by the FDA to effectively cut out small local dispensaries and growers. In fact, several strains of marijuana are already approved by the FDA — but exclusively use by Big Pharma. — making it impossible for anyone but themselves to reap in the huge profits possible from the industry. Of course, it’s almost impossible for any company, no matter how large, to compete with the Big Pharma giants like Monsanto & Friends. Despite the fact that marijuana is still mostly illegal in the U.S., Big Pharma is still doing their best to own the patent rights to grow it. They are also being allowed to create their own synthetic and GMO cannabinoids. So, even though the marijuana plant remains illegal in most states, the extracts and derivatives made by Monsanto & Friends are not. Monsanto is known for spraying toxins over almost all the food we eat in America. They patent GMO seeds (genetically modified organisms), then when the wind accidentally cross-pollinates nearby farms Monsanto sues the small farmers who had no idea their fields were contaminated. They’re slowly killing off local agriculture by developing seeds that don’t reproduce and must be purchased again year after year — then treated with tons of dangerous pesticides and fertilizers. Not to be out done, Bayer is infamous for hiding serious health issues associated to their drugs. They continued to sell contaminated milk and HIV infected blood, and have been found guilty of false advertising and cheating Medicaid. These giant monopolies, and others, have created a virtual monopoly on the medications we need, the foods we eat and potentially the entire cannabis industry. They’ve already polluted the entire agricultural industry by spreading genetically modified seeds without any significant controls. If this continues it could damage the biodiversity and health of many crops including cannabis — and with appalling consequences for small and medium size growers around the world. Monsanto enjoys a tight relationship with the other players in the cannabis industry, such as Scott’s Miracle-Gro. Scott’s has already bragged about plans to buy out the whole industry. They’ve even conspired with Monsanto to prevent unwanted companies from getting access to vital trade shows and events. Scott’s has already bought out many smaller cannabis producers, and the fear is that this relationship will be exploited even more. Because this merger threatens our entire food supply, as well as our medicine including CBD, it’s critical to do your research carefully before buying anything. Where do the ingredients come from? Are they local? Are they Organic? One great pace to start is with SolCBD – great, unique and organic CBD products. I think their vape product is the best liquid vape I’ve ever used. It contains CO2 extracted hemp-derived CBD with all the important phytonutrients, enzymes & vitamins — and in a vegetable glycerin base (NO propylene glycol). SolCBD is very bioavailable to your body, bypassing the need for the liver to break it down so that it’s absorbed into your bloodstream immediately. This lets 4x as much CBD reach your blood for a bioavailability of 50-60%. 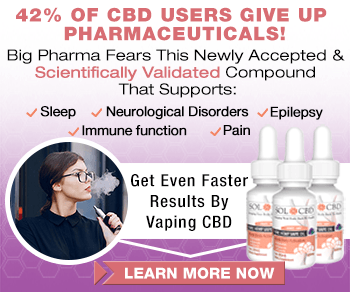 You get all the amazing benefits of CBD with a much smaller quantity so the CBD Oil lasts much longer and works better in my experience than products with a more CBD (in milligram).